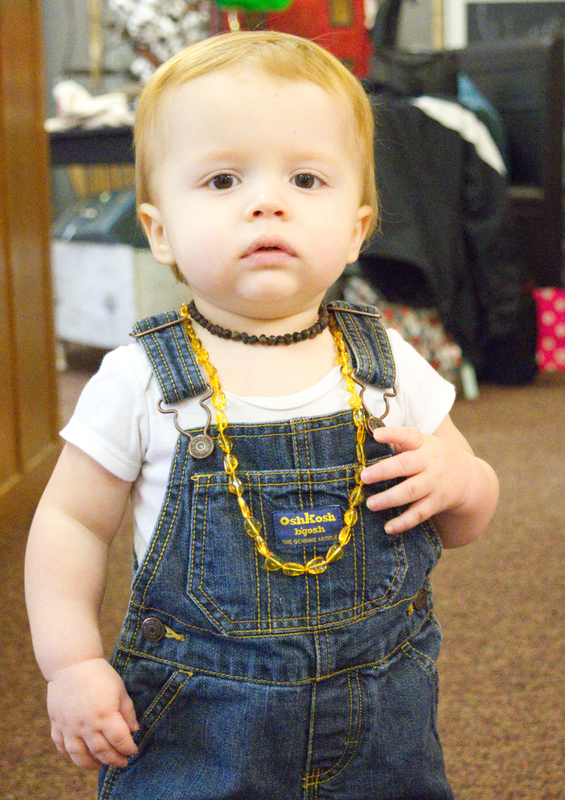 The small 10-11" necklace most generally fits a child until 12 months. The 13" necklace may be needed for a larger child. As the child grows, check the necklace to ensure it is still the correct size. The necklace should fit loose enough around the neck so you can insert two or three fingers but you should not be able to get the necklace above the child's chin so the necklace cannot be put in his/her mouth. The amber beads MUST NOT BE PUT INTO THE MOUTH OR CHEWED. The 10-11" Baltic amber is the perfect size for adult anklets. So as the child outgrows the necklace, the amber can find a new home on mom's ankle. The following are the sizes and average ages for The Amber Monkey jewelry. However, it is always best to try on the jewelry to ensure a correct fit. 17"-18" - adult necklace that falls close to the collar bone 21"-22" - long hanging adult necklace Be certain the amber you purchase is true certified Baltic amber rather than simply amber colored plastic beads. The Amber Monkey has the highest grade 100% certified Baltic amber.